From I-5 North or South, take exit 132 (Highway 16 West). Exit at 6th Avenue (exit #3), continue to the second stoplight and turn right on to Pearl Street/WA 163. 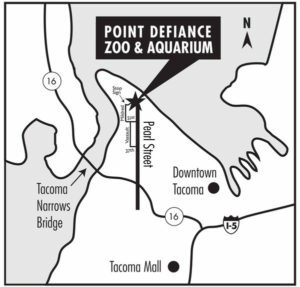 Follow Pearl Street into Point Defiance Park. Directional signs will lead you to the Zoo parking lots. You can also enter the park and reach the Zoo using the Mildred Street Entrance. Follow Pearl Street northbound as directed above. Turn left on North 51st Street and drive to Mildred Street. Turn right on Mildred and follow Mildred into the park. Once in the park, follow signs to the Zoo’s parking lots, which will be on the left. From I-5, take exit 133 for I-705 and follow signs to Schuster Parkway, then Ruston Way. 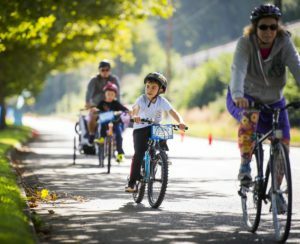 Follow Ruston Way for 2.8 miles along the waterfront, and at the second traffic circle take the second exit onto North 51st Street. Continue to North Pearl Street, then either turn right for the Pearl Street Entrance or continue straight ahead for the Mildred Street Entrance. 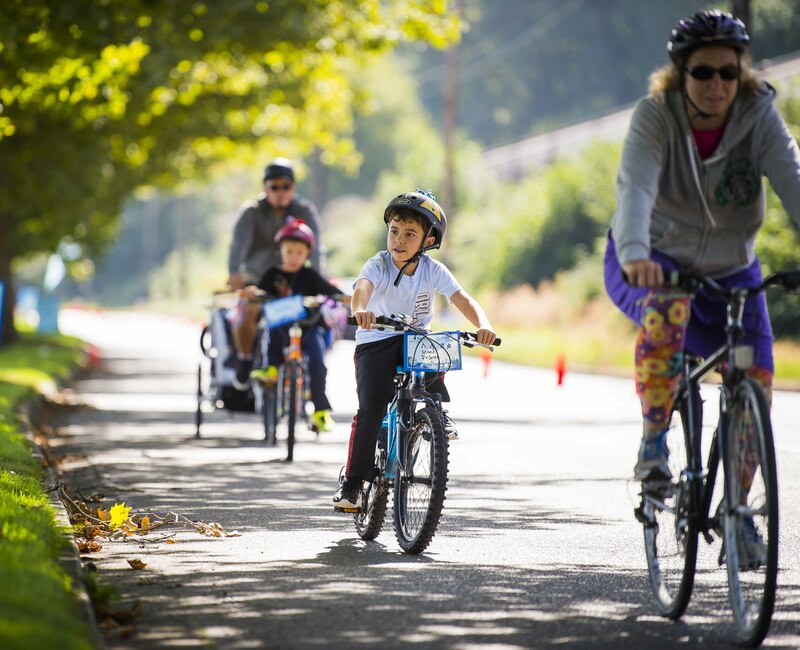 Ride your bike or catch the bus to the Zoo and save $3! We’ll give $3 off daytime general admission when you present your Orca card or bike helmet at the front gate. Find our bike racks on the left side of the entrance. Bus routes 10 and 11 both stop near the Zoo. * Discount is valid only for the Orca card holder or helmet owner. Orca cards and helmets are not transferable. Discount is not valid with any other promotion and cannot be used for online tickets, school groups, Zoolights or other special events.